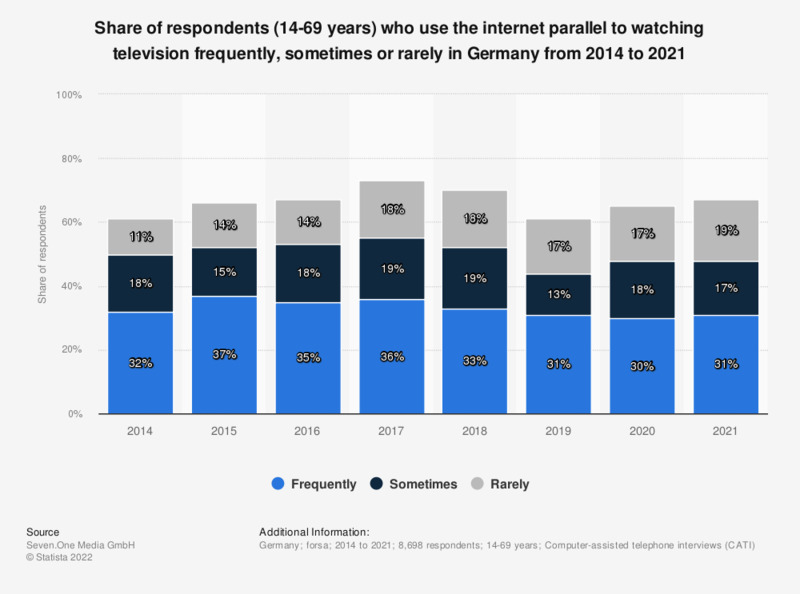 This statistic shows data on the parallel usage of the internet and television in Germany from 2008 to 2018. In 2018, 41 percent of respondents between the ages of 14 and 49 frequently watched television while using the internet at the same time. Ten years earlier in 2008, this figure was only around 12 percent.